Digital Print on the Graph Expo Show Floor. New products serve a range of print needs..
Last week, print professionals flocked to Chicago, IL to witness some of the latest and greatest innovations in the industry. From inkjet to electrophotographic devices, both cutsheet and continuous options serve a variety of markets from transactional to packaging. In this first installment of our Graph Expo wrap up, we bring you digital printing news. Next week, stay tuned for a look at finishing announcements, followed by software and workflow highlights. Following Canon Expo, Canon U.S.A. showcased the depth of its production and large format portfolio. The theme, “See Bold Solutions,” reflected the company’s dedication to product development, its robust portfolio, and the ability to help businesses improve their operating efficiency through a suite of outstanding workflow and output solutions. In the “Solutions Oasis” display within its booth, the company featured demonstration pods as well as a customer application gallery to highlight a range of creative print applications for market segments including direct mail, on demand publishing, and transactional printing. Over the past year, Canon has launched several new products and solutions, including the Canon imagePRESS C10000VP digital press and the Océ VarioPrint i300 printer. The Canon imagePRESS C10000VP digital color production press offers up to 100 images per minute while maintaining high productivity, even on long runs and mixed media jobs. The device completes the company’s color production portfolio and represents a new volume segment for the company. The i300 is a digital high-speed sheetfed inkjet press designed to help accelerate the printing industry’s transition from offset to high-volume digital output. The ColorStream 3000 Z Series is a slim, high-volume, full-color continuous-feed inkjet system that provides the quality and versatility of the ColorStream 3000 Series range. It features a modified design to suit smaller environments. Epson announced the SureColor P-Series line up, which incorporates the latest imaging technologies including Epson’s PricisionCore TFP printhead. Leveraging Epson’s UltraChrome HD eight-color ink set, the 24-inch SureColor P6000 and 44-inch SureColor P8000 target graphic designers, commercial printers, and photographers. Successors to the Epson Stylus Pro 900 Series, the devices incorporate a reformulated Epson UltraChrome HDX ten-color ink set. HP introduced the first HP PageWide Web Presses powered by High Definition Nozzle Architecture (HDNA) as well as enhancements to the HP Indigo 7800 Digital Press. The new HP PageWide Web Press portfolio, formerly branded HP Inkjet Web Presses, are built using proven HP PageWide Technology to enable new levels of performance across HP graphics, business, and consumer printing platforms. Challenging the limitations of conventional high-volume printing, two new 42-inch inkjet web presses, the HP PageWide Web Press T480 HD and T470 HD, feature HDNA technology and offer enhanced print quality with unparalleled dual-drop-weight architecture, 2,400 nozzles per inch, and built-in nozzle redundancy. HDNA production inkjet printhead technology is designed to provide enhanced print quality and performance to meet a growing range of high-value applications. The new HP PageWide Web Press solutions open new application opportunities including publishing, direct mail, and general commercial printing application opportunities. Additionally, the HP Indigo 7800 Digital Press offers enhanced on-press color management tools in press software version 11.4 as well as an inline spectrophotometer, eliminating the need for manual color manipulations. Available this month, media fingerprinting, 3D color calibration, spot color refinement, and other advanced color management tools streamline the process for color standards certifications, such as GRACoL and FOGRA, ensure accurate color matching on a variety of substrates, and provide color consistency across presses and sites over time. Komori Corporation and Screen Holdings Co., Ltd. announced that Komori America Corporation and Screen GP Americas, LLC, a division of Screen Graphic and Precision Solutions (Screen GP) group, entered into a strategic selling agreement that effectively joins the two companies’ sales organizations. Komori America will be the sole distributor in the U.S. of Screen GP’s new Truepress Jet520HD, a high-speed, high-definition inkjet press powered by the Equios Digital Front Workflow solution. Screen GP Americas brings its extensive knowledge and expertise in the inkjet marketplace to the partnership with Komori America. Konica Minolta Business Solutions U.S.A., Inc. demonstrated its latest innovations and workflow technology. Under the theme, “What Will Your Business Look Like in Three Years?” Konica Minolta showcased newly announced products, business opportunities, and transformative solutions. The company offered pre-production previews in its booth on a variety of different technologies. Among the previews was the KM-1, a B2 size high-speed proprietary inkjet technology. Additionally, it showcased the bizhub PRESSC71cf digital label printer, a four-color, digital roll-to-roll label press aimed at the mid-sized printer or converter. The new press is designed to open new revenue opportunities in the label and tags packaging market. Finally, the FD-9 Spectrophotometer was previewed. The device automatically scans and measures standard color charts used in profile creation at high speeds. The company also highlighted several of its production devices, including the bizhub PRES C71hc digital production printer, bizhub PRESS 2250P Monochrome Digital Production printer, and the bizhub PRO C754e production printer for central reprographic departments. Konica Minolta also exhibited new versatile production capabilities, including the Tecnau Sheet Feeder KM 2250 roll-feed system for high-end production volume and the new Watkiss Power Square 224 book making system for digital print applications. Additionally, the company showcased the MGI JetVarnish 3DS with iFoil, offering added value with the ability to create personalized hot foil stamping on an industrial scale. MGI Digital Technology demonstrated a new high-speed digital production printing press, the Meteor DP1000 XL. At up to 100 pages per minute, the device is completely integrated inline with the DF Pro finishing system as well as a new digital toner foiling solution, the iFOIL T.
The new MGI Meteor DP1000 XL & DF Pro solution is an integrated production print and finishing platform with 20 functions of cutting, creasing, perforating, and trimming in one single package. The DP1000 XL & DF Pro product suite delivers personalized, variable data printed (VDP) documents that are finished for job completion and customer delivery in a single pass. OKI Data Americas demonstrates its expanding line of professional digital printing solutions developed to serve a variety of short-run commercial needs, including cutsheet and continuous feed applications, white and clear printing capabilities, and a range of media handling possibilities, plus lamination and digital die cutting finishing options. The company debuted the C9452 five-station digital production printer with single-pass white. The C942 handles a range of media types, including polyester, heavyweight stock up to 360 gsm, as well as magnets and banners. Pitney Bowes announced an expansion of its production inkjet color print offering with its new AcceleJet printing and finishing system. This roll to cutsheet printing solution provides a simple, cost-effective path to high-quality color inkjet at a cost comparable to many monochrome options. Combined with Pitney Bowes’ customer engagement software, services, and mail finishing equipment, AcceleJet is poised to be the centerpiece of an end-to-end White Paper Factory Solution for print and mail service providers who generate four- to ten-million transactional or direct mail printing impressions per month. In addition to its DI presses, Presstek, LLC featured the Presstek JT Direct Inkjet Plate, which combines Epson inkjet printers, providing a simple, low-cost plate production solutions. The JT metal plate images on a standard Epson inkjet printers using the printer’s standard inks. The device serves as an all-in-one CTP system where a user can image plates, print proofs, and posters. Small format plates up to a 44-inch plate are imaged on these bundled systems that include the inkjet printer, RIP software, oven, and start-up kit. PSI Engineering debuted the Laser Mail 7000. Available in four- and five-color, the digital press envelope printer prints up to 70 full-color personalized envelopes per minute in “one pass.” With on demand variable data/variable image printing, the Color Laser Mail 7000 prints opaque white or clear, adding depth, impact, and style to prints, allowing white on dark colored media. It is ergonomically designed for comfort and safety and can be used as a multifunctional office color laser printer or high-quality proofing printer. PSI Engineering’s toner-based printing system, the Color Laser Mail 7000 uses single-pass color digital technology. The straight-thru print path supports media thickness up to 450 gsm and prints a variety of envelope sizes. Ricoh displayed a lineup of innovations, including a portfolio of new and updated hardware, software, and services offerings. New and updated offerings include the Ricoh Pro 8100e, a series of monochrome printers with speeds up to 135 pages per minute. Visitors to the booth were also able to check out the Ricoh Pro C7100X, Ricoh Pro C9110, Ricoh Pro C5110s, Ricoh ProcessDirector, Ricoh Pro VC6000, and Ricoh’s 5th and Color Kit. Xeikon debuted the Xeikon 9800, the company’s flagship document and commercial printing press. The Xeikon 9800 features a top speed of 308 letter-sized impressions per minute and a web width of 20.2 inches and comes integrated with Xeikon’s X-800 digital front end. The press can print on a range of untreated substrates from 40 to 350 gsm. Its adapted Xeikon QA-CD toner and imaging system deliver a print resolution of 1,200×3,600 dpi with variable dot density. Xerox showcased an array of high-end digital color printing technologies including the Xerox iGen 5 Press and the Xerox Rialto 900 Inkjet Press, which were shown for the first time in the U.S. The iGen 5 combines the company’s flagship platform with a fifth color option and multiple speed options, while the Rialto 900 offers a small footprint, and fully integrated narrow web inkjet solution. 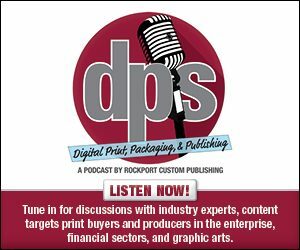 These new announcements and enhancements provide expand capabilities for print providers looking to gain an edge over competition and move more work to digital.